When looking to buy a new car, one of the things that you may consider is the interior. A car that has a good interior will allow you to enjoy a very fulfilling driving experience. It will also keep you comfortable as well as entertained while you operate the vehicle. If you’re looking to get a quality vehicle that has an excellent interior, you will want to consider purchasing one of the following 2016 sedans. These top sedans provide a number of benefits such as entertainment features, interior comfort and a very innovative interior style. They also include a number of safety features that will allow you to avoid injuries in case of an accident. The Honda Civic is one of the vehicles with the best interiors of 2016. It’s also one of the compact sedans that is among the most affordable to purchase. In this car, you will be able to take advantage of some of the best technology features in the industry. First, there is the 8-inch touchscreen that allows you to access entertainment options as well as make phone calls. The steering wheel is very comfortable and agile. This helps make the car very easy to drive. The Honda Civic also offers very comfortable seats that keep you secure while you are sitting in it. As a result, the Civic boasts a very nice looking interior that offers both luxury and comfort to consumers. Another sedan that has among the best interiors for 2016 is the Honda Accord. With this vehicle, you will get to sit in very comfortable seats that come in either leather or cloth form. There is also a touchscreen that makes it easy to receive calls and access mp3 files and listen to the radio with just a touch of a button. The steering wheel is also slim and contoured for an easy grip. This makes it very easy to maneuver the vehicle when driving it. Folks looking for a sedan with a high quality interior will want to consider the Nissan Maxima. The Nissan Maxima offers seating that is very comfortable for both drivers and passengers alike. It is also very spacious for a car of its size, as it can accommodate up to 5 people at once. As well as offering plenty of space, the Nissan Maxima offers the latest technology. You will be able to take advantage of an 8-inch touchscreen which gives you access to a number of things such as the radio and your mp3 files. It also has lane watch which will help you see incoming traffic in your blind spots. Lastly, the steering wheel is made out of leather which allows you to have a firm grip when driving. The Lexus ES350 offers its drivers a very high quality interior. This vehicle contains leather seats which can be heated or cooled to keep you comfortable in extreme climates. The Lexus ES350 also contains a leather steering wheel which provides you with comfort as well as a firm grip. Inside this vehicle, you will also be able to use a touchscreen as well as a climate control system that is simple to operate. One of the vehicles with the best interiors of 2016 is the Lexus LS. This vehicle has a combination of leather and cloth seats. They can be heated or cooled in order to provide extra comfort. The dashboard has a touchscreen as well as a climate control system. There are also plenty of vents to help provide heating and air conditioning. A Lexus LS contains a steering wheel that is made out of both leather and a shiny plastic finish. You can also adjust the seats electronically as well, ensuring maximum comfort. The Mercedes Benz S class is known to have one of the top interiors for 2016. First, there is a leather steering wheel that provides drivers with a firm grip. It is also contoured which allows drivers to easily control the vehicle. A Mercedes Benz S class also includes an 8-inch touchscreen. This allows you to access maps, mp3 files as well as make and answer phone calls. The car has leather seats that can be heated or cooled. As well as having standard features, this car also offers a compartment to store and cool beverages. It also contains screens which allow backseat passengers to watch shows and movies. Another vehicle that has a great interior is the Mercedes Benz E Class. This car offers a leather contoured steering wheel that provides drivers with a firm grip. It also has a touchscreen which provides drivers and passengers with the ability to easily access their entertainment options. 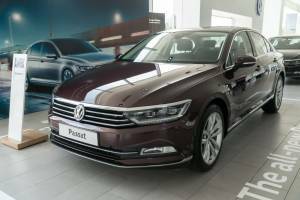 This car also contains leather seats that are nice and contoured for plenty of comfort. There is also a climate control system which provides air conditioning and heating. Lastly, the Mercedes Benz E class offers electric seats which provide drivers and passengers with the ability to adjust them more efficiently. The Hyundai Equus is a vehicle that offers one of the best interiors of the year. In this car, you will be able to take advantage of one of the more spacious vehicles on the market. 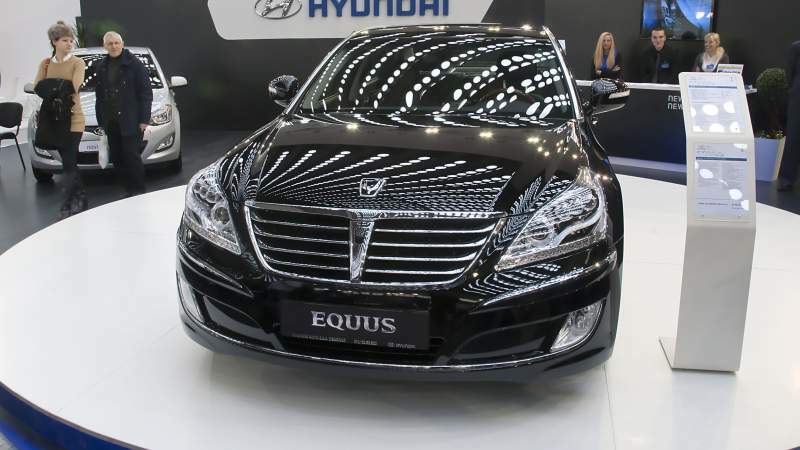 The Equus has leather seats that can be cooled or heated to your preference. There are also plenty of vents in both the front and the back that circulate air throughout the car. With the Equus, drivers will be able to use a touchscreen for accessing calls as well as mp3 files. The Hyundai Equus also has a leather contoured steering wheel for comfort and firm control while driving. The BMW 7 Series has one of the top vehicle interiors for 2016. It contains leather seats in both the front and back ends. They can be cooled or heated which provide plenty of comfort in any weather conditions. There is also a leather contoured steering wheel that makes it easy to grip and maneuver the vehicle while driving. The BMW 7 series contains screens in back of the front seats for passenger to view shows and movies while in the car. There are also vents in both the front and the back which provide plenty of circulation in the car. Lastly, the BMW 7 series has a dashboard made out of sturdy materials which help give it a very high quality interior design. With the Audi A7, consumers will be driving a vehicle with a very high quality interior. In this vehicle, drivers will be able to take advantage of a four spoke multifunction steering wheel. This is leather wrapped and heated steering wheel with paddle shifters. With this steering wheel that allows drivers to easily control the vehicle while driving. 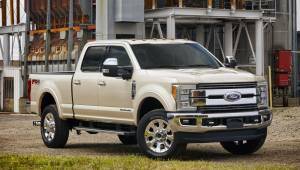 This vehicle also boasts some of the most innovative technology on the market. You will be able to use a simple climate control system as well as a touchscreen. The Audi A7 also comes with leather seats that can be heated or cooled which will provide lots of comfort. Therefore, the Audi A7 has a fine interior that will provide both drivers and passengers with a vehicle that they will always enjoy.